The only possibility to expirience Chopin Concert in intimate atmosphere, as composer prefered to perform. Outstanding interpretations of his works will give you possibility to come into his world. One hour piano concert is located in Old Town, in building where Chopin performed. Concerts are everyday at 7 p.m. (19:00). Glass of medieval mead – traditional Polish alcohol or glass of aple juice is included. The second line of Krakowskie Przedmieście St. gives the opportunity to stay on the historical royal route and at the same time to relax in a comfortable place. The performance starts at 7 p.m. Arriving earlier you can take advantage of the offer of the on-site cafe. Before 7 p.m. you will be greeted by the host and offered the mead – traditional Polish alcohol from middleages or a glass of aple juice. Short speach in English will give you general background about composer and performing artist. Almost one hour piano concert will take you to historical trip to Chopin's world full of emotions and landscapes. Due to the intimacy of the place and the limited number of chairs, it is necessary to purchase the ticket in advance. It allows you to enjoy this intimate atmosphere and the feeling of participation in a private concert. That's how Frederic Chopin loved to play. Places are reserved in order of booking / purchasing. Visit in Chopin Point Warsaw will be lika a meeting with Frederic Chopin. The only possibility to expirience Chopin Concert in intimate atmosphere, as composer prefered to perform. Outstanding interpretations of his works will give you possibility to come into his world. One hour piano concert is located in Old Town, in building where Chopin performed. Concerts are everyday at 7 p.m. (19:00). Glass of medieval mead – traditional Polish alcohol or glass of aple juice is included. What You Can Expect Chopin Concert in Warsaw Perfectly located daily Chopin Concert at 19:00 in his home town. Situated on Chopin Route in building where composer performed in age of 13. The ability to arrive by taxi to the entrance or bus as there is a bus stop (30 m), i.e., the location is very attractive and easy to search. An ideal point to relax between sightseeing and dinner The second line of Krakowskie Przedmieście St. gives the opportunity to stay on the historical royal route and at the same time to relax in a comfortable place. The performance starts at 7 p.m. Arriving earlier you can take advantage of the offer of the on-site cafe. Before 7 p.m. you will be greeted by the host and offered the mead – traditional Polish alcohol from middleages or a glass of aple juice. Short speach in English will give you general background about composer and performing artist. Almost one hour piano concert will take you to historical trip to Chopin's world full of emotions and landscapes. Due to the intimacy of the place and the limited number of chairs, it is necessary to purchase the ticket in advance. It allows you to enjoy this intimate atmosphere and the feeling of participation in a private concert. That's how Frederic Chopin loved to play. Places are reserved in order of booking / purchasing. After the concert it is possible to continue the evening with a glass of Polish wine, a good cake. 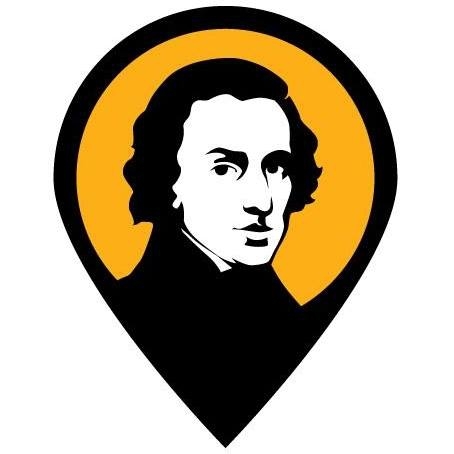 During the day the place offers a selection of Chopin's sweet and dry flavors, excellent coffee and hot chocolate, and Chopin's coffee which Chopin drank in his youth every day ... Visit in Chopin Point Warsaw will be lika a meeting with Frederic Chopin.